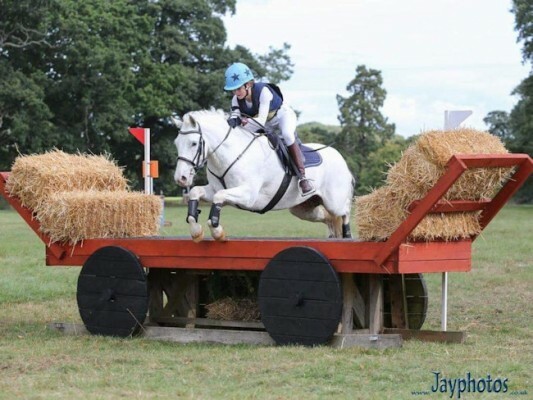 The perfect pony for a competitive child. Very genuine, loves jumping, rarely touches a pole. Jerry is easy to ride. He is beautifully schooled, he works in a natural outline, leg yields and medium trot. He came second in a Novice dressage class this month. Would excel as a dressage pony. Jerry is a real character that both our daughters have had a special relationship to. Exceptionally easy to handle. No vices. Jerry has never bucked or reared. Good in traffic, hacks out alone or in company. Good to clip, shoe, catch, load. Has been hunted. Went out with the Warwickshire Hunt on Christmas Eve and jumped a lot of hedges and big rails. Most go to a five star competitive home.